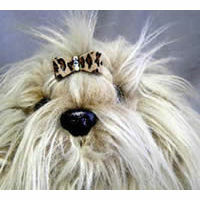 From the AKC Standard for the Havanese: "The Havanese is a small sturdy dog of immense charm. He is slightly longer than tall, and covered with a profuse mantle of untrimmed long, silky, wavy hair. His plumed tail is carried loosely curled over his rump. A native of Cuba, he has evolved over the centuries from the pampered lap-dog of the aristocracy into what he is today - the quintessential family pet of a people living on a small tropical island. His duties traditionally have been those of companion, watchdog, child's playmate and herder of the family poultry flock." The standard doesn't mention that they bounce when they run - but they do! 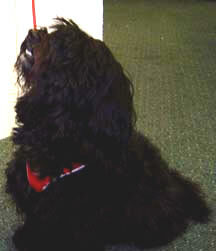 Havanese are certainly destined for increasing popularity - to meet a Havanese is to be instantly charmed. Here at Golly Gear our small-dog staff specialists will be happy to help you find just the right stuff for your Havanese! The Soft Harness by Puppia is comfy and stylish. The front and collar portion is made of a cushy polyester air mesh that fits broadly across your dog's chest so he can walk comfortably and any pressure from the leash is distributed evenly across his neck and shoulders instead of at his neck! The mesh is edged in super-soft matching or contrasting velour. The chest portion is not adjustable, but the back strap is adjustable. The Ultrasuede Hair Bow by Susan Lanci Designs is the perfect complement for your little dog's coat and collar or harness. 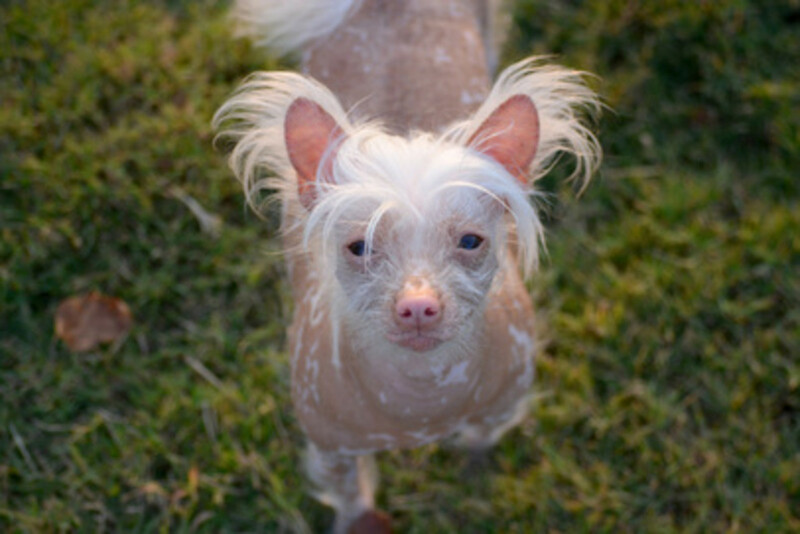 Your small dog needs the right touch to hold her fur out of her eyes! There are two loops of beautiful ultrasuede on each side of the center band which has 3 rhinestones placed vertically on the band. The Ultrasuede Hair Bow measures just 1 5/8 inches long and 1/2 inch wide. The barrette has the standard - pinch the sides to open, push to close - clasp. 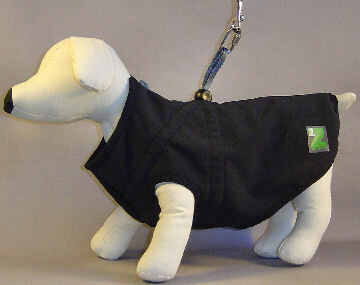 The 1Z Harness-Coat by Pawz combines a secure harness with a winter coat for our little dogs! It's secure, warm, waterproof, windproof and washable! 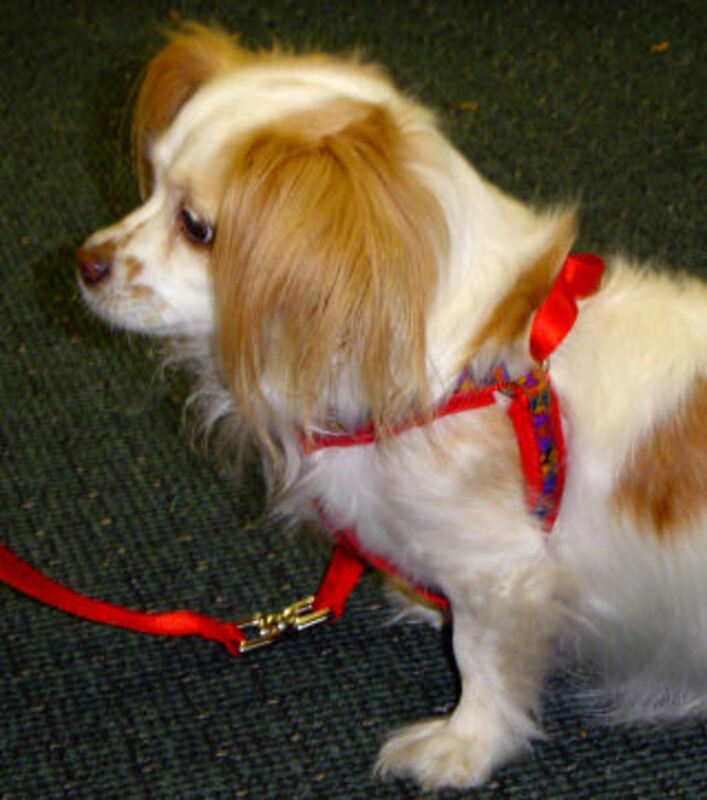 No more stress for you or your little dog to try to put a harness over a coat. Just loosen the harness lock, open the zipper at the neck, slip the coat over your pup's head, bring the front paws through, zip up the zipper, slide the lock down, and attach your leash! Tennis Tails combine your dog's all-time favorite toys - ball and plush squeaky toy - into one terrific toy. Heavyweight fabric, self-sealing squeaker and tough, double-wall tennis ball ensure these toys will be around for tons of fun. The faux-fur tails will appeal to your dog's natural hunting instinct with your choice of fox (reddish), raccoon (darkest) or squirrel (grayish color) styles! Choose among two sizes and three faux-fur styles for the perfect toy for your dog! The Bailey Jacket is the ultimate dog harness - the material is divine; butter-soft Ultrasuede. The colors are rich and beautiful. The design is really practical - the jacket's design takes all leash pressure off the dog's throat and neck and distributes it evenly across the shoulders and chest. Even the hardware for attaching the leash is elegant, black matte. But the overwhelming reason to get a Bailey Jacket is because it's adorable. The Front Pocket Carrier is a wonderfully soft, padded pouch, with mesh side panels for ventilation, a cinch closure for security, and a leash clasp for total control. For you; wide, adjustable shoulder and waist straps buckle securely with a single parachute-type clasp in back. A bib-type top to the pouch keeps fur off your clothes! 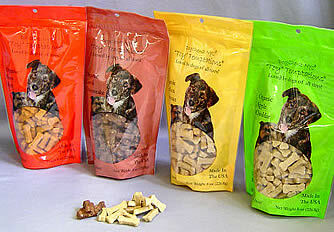 Each flavor of Toy Temptations treats from DogChewz NYC is healthy and delicious. 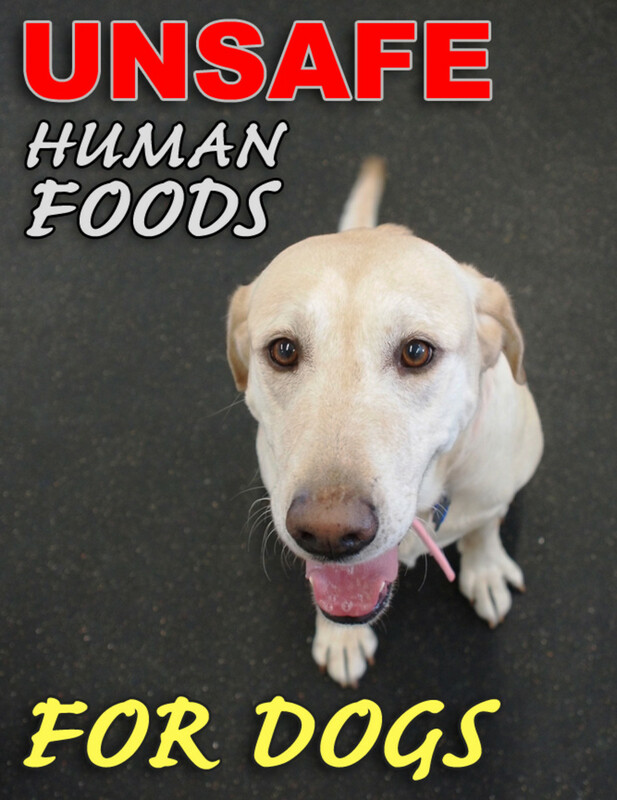 Organic, natural and yummy, these treats are perfect for our little dogs! The nutritional information for humans is even on the back of the package. 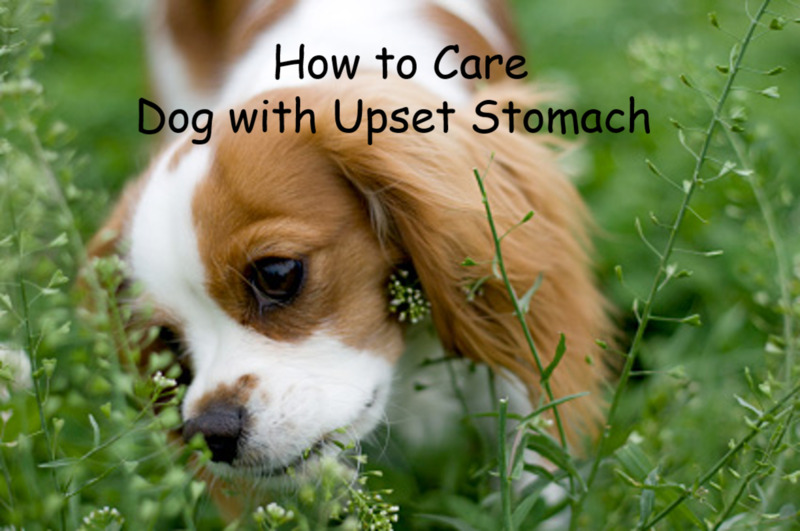 Each tiny treat measures just one inch and is easy to break into even smaller pieces. You want to do right by your Havanese. You know a harness is safer for your dog than a collar, but there are so many to choose among - some that catch your dog's fur, some that choke, some that are just too complicated to figure out! 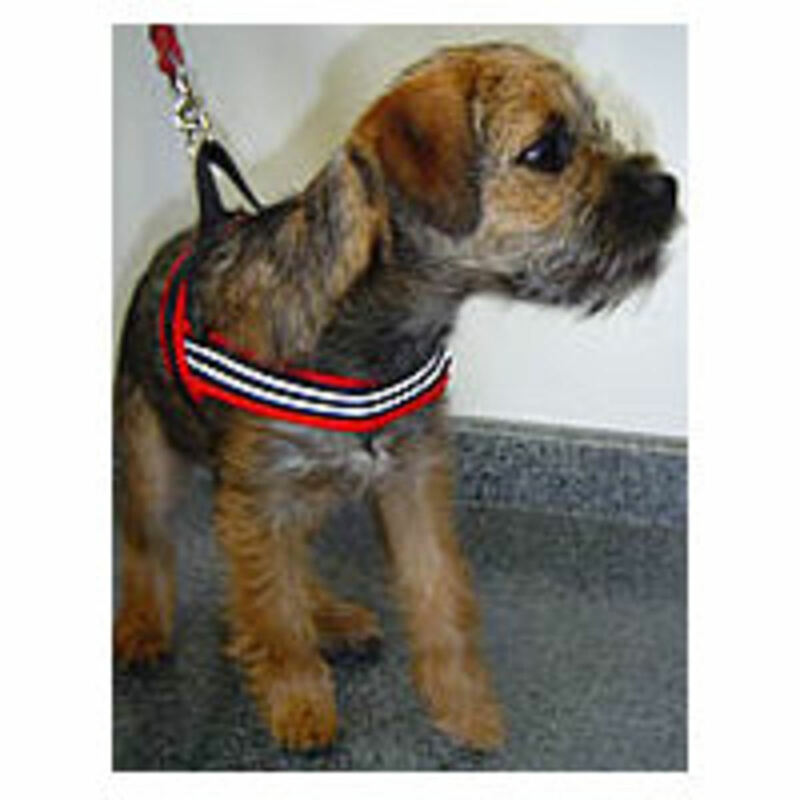 With more than 30 different styles to choose among here in the shop, we know you can find the perfect harness for your dog. 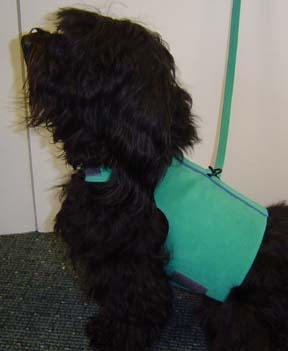 Try the Do It Yourself Harness Selector and see which one's right for your Havanese! Because Havanese have only gained recognition relatively recently, other fanciers may be difficult to find. These links lead to like-minded Havanese fans! National Havanese Dog Rescue - "Changing lives, one Havanese at a time." We got Piper from Los Angles County kill center. She was a stray. She is now a black and white super Havanese.well fed and well loved. WE just got our havanese puppies they are so adorable and cute. Thank you for sharing your Havanese lens. 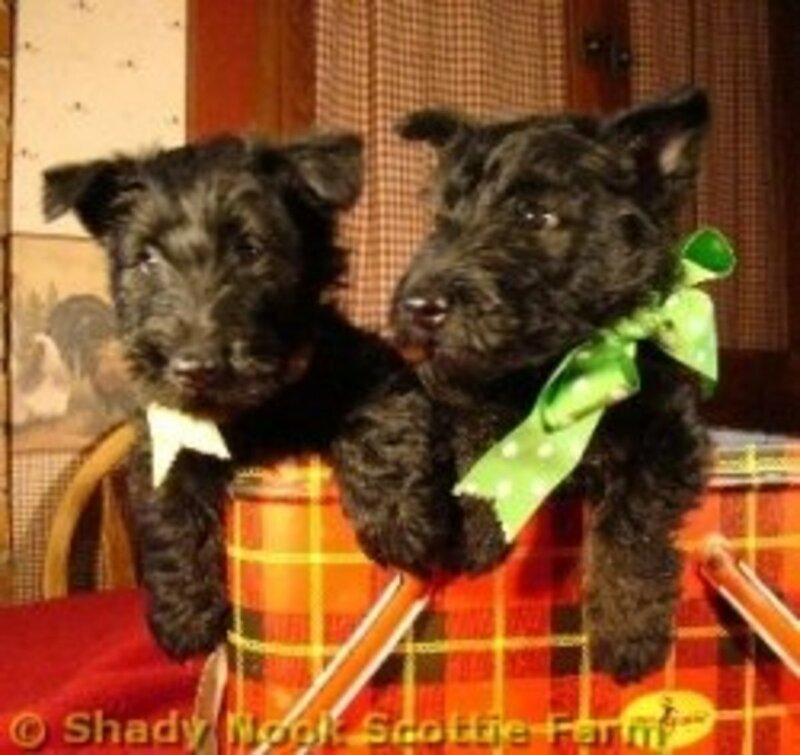 I don't have one but after seeing these photo's and reading about yours, I want one...but I don't think my 2 German Wirehair Pointers would appreciate another dog in the house. What a nice lens. Thanks for sharing.